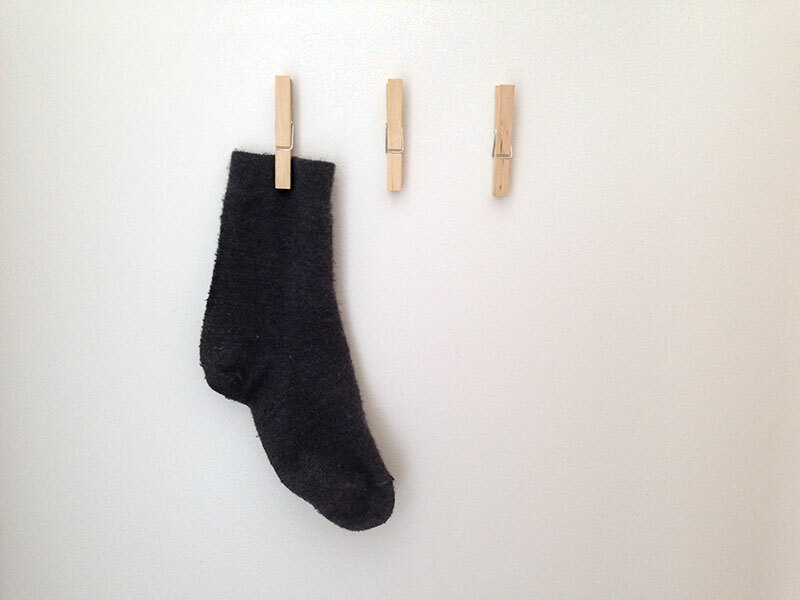 What may look like 3 pegs stuck to the wall is actually a comprehensive lost sock management system. Within an hour of it’s implementation it had already been used to swap out a mismatched sock from a pair that had been put away. I saw the idea on Pinterest a while back but couldn’t think of how I wanted it to look. Usually there’s an accompanying joke like “Clean, single, looking for a mate” but in the end I decided I wanted something minimal. If you have a lost sock issue in your home I would highly recommend trying this.